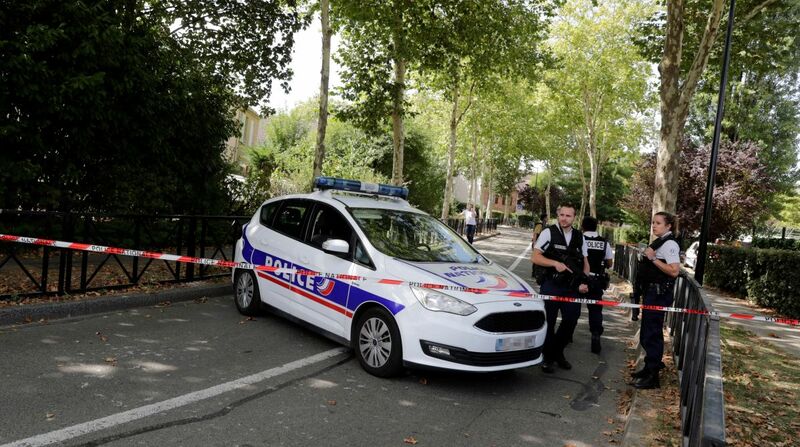 A man armed with a knife killed his mother and sister and seriously injured another person in Trappes town near Paris on Thursday, officials said. The Islamic State group claimed responsibility for the Paris knife attack but offered no proof. The man, who police said had been on a terror watch list since 2016, was later gunned down after he confronted the men in uniform. While the motive for the violence remains unclear, the Islamic State group claimed responsibility for the attack via its propaganda channel. Experts urged caution about the group’s announcements, saying it had lost credibility after recently claiming seemingly unrelated violence as it faced defeat on the battlefield in the Middle East. The man had been on the terror watch list after expressing extremist views, a police source said. The Islamic State group claimed that “the person who carried out the attack in Trappes, southwest of Paris, was an Islamic State fighter”. According to some reports, the man threatened to kill the police and shouted “Allahu Akbar” during the assault. “Police operation completed,” said the Yvelines regional prefect in a tweet, adding: “An individual was neutralized and killed. Assessment of the victims: 2 people dead, one seriously injured,” it added. Trappes has a population of around 30,000 and is part of the far suburbs of the greater Paris area, lying about 30 kilometres southwest of the capital. The town is known for its social problems linked to poverty, gangs and hardline interpretations of Islam. About 50 locals are suspected to have left France to fight for the Islamic State group in Syria and Iraq, French security sources have previously told AFP. France remains on high alert after a string of jihadist attacks since 2015 that have claimed more than 240 lives. The leader of the extremist group Abu Bakr al-Baghdadi had called on Muslims to wage “jihad” in a purported new audio recording released yesterday.